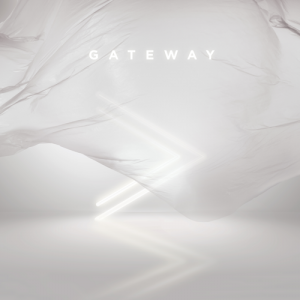 Gateway Worship has released “Murallas” through Gateway Publishing and all songs are now loaded into WorshipTeam.com “Murallas” is a recording of some great new songs. Gateway Kids Worship has released “Believe It” through Gateway Music and all songs are now loaded into WorshipTeam.com “Believe It” is a recording of some great new songs. No matter the distance or darkness; we will stand on God’s promise and purpose. God’s love goes on and on and is never ending. It’s time to Believe It! Believe It, the newest release from Gateway Kids Worship, includes songs that will have the whole family singing and dancing. Believe It features vocalists from Gateway Kids Worship from all six Gateway Church campuses. With five new songs and two re-imagined songs from GATEWAY’s Monuments album, it’s sure to be a new favorite for the family. A part of GATEWAY, Gateway Kids Worship is the worship expression of the children’s ministry of Gateway Church, Gateway Kids. Their teams lead worship every weekend across multiple campuses in the Dallas/Fort Worth, Texas area for thousands of children every week. 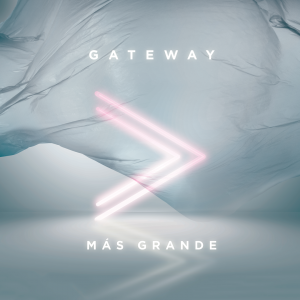 Gateway Worship has released “Más Grande” through Gateway Music and all songs are now loaded into WorshipTeam.com “Más Grande” is a live recording of some great new songs. ÉL ES MÁS GRANDE QUE la enfermedad, el desencanto, el dolor, el temor, la pérdida o cualquier cosa que enfrentaremos en esta vida. Hay fuerzas trabajando a nuestro alrededor, algunas vistas y otras no vistas, que pueden abrumar nuestra esperanza, nuestra paz, y nuestro gozo. Sin embargo, hay una Presencia constante en el caos – una fuerza fundamental que está por encima de cualquier otra cosa. Dios, en todo Su poder, escoge revelarse – no siempre a través de truenos, fuego, o viento, sino en el susurro más sutil de Su Espíritu. El nuevo álbum en vivo de GATEWAY, Más Grande, captura un mover del poder, la presencia, y el Espíritu de Dios durante una noche especial de adoración en Gateway Church en Southlake, Texas. Esta colección definitiva representa las canciones más recientes y queridas de Gateway Church. Estamos orando para que estas canciones bendigan y equipen a la iglesia global en los años venideros. Los invitados especiales son Daniel Calveti, Christine D’Clario, Becky Collazos/AmorMercy, Lilly Goodman, Jacobo Ramos, Julissa y Coalo Zamorano. Gateway Worship has released “Greater Than” through Gateway Music and all songs are now loaded into WorshipTeam.com “Greater Than” is a live recording of some great new songs. 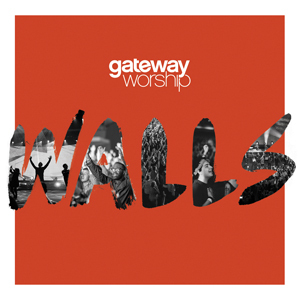 Gateway Worship has released “Walls” through Fair Trade Services and all songs are now loaded into WorshipTeam.com “Walls” is a recording of some great new songs. Join the Gateway Worship community for a powerful live performance! Walls features Thomas Miller, Mark Harris, Kari Jobe-Carnes, Cody Carnes, Anna Byrd, and includes the songs “Let The Heavens Open,” “Grace That Won’t Let Go,” “You Stand,” and more. All songs are loaded and ready to use- just access your WorshipTeam.com system database.